Pamela Louderback is an Assistant Professor and Director at Northeastern State University’s Broken Arrow campus library. Pamela has had over twenty-five years of experience in an academic library setting and fifteen years of experience teaching in higher education. She has spent decades serving as a leader, whether in a formal capacity or informal capacity with an overarching goal of improving the learning and teaching experience of students. 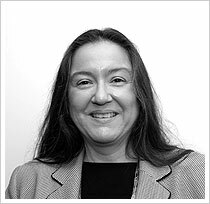 Pamela researches and writes in the areas of integrating technology into the curriculum, leadership in higher education, and academic achievement and retention of American Indian college students. In Belfast, Pamela conducted a comparative study in government education policies of Irish Medium schools in Belfast, Northern Ireland as the 2011 UK Fulbright Scholar in Governance and Public Policy, at Queen’s University Belfast. While in Belfast, she was able to speak with and learn from many individuals who provide education at all levels – including practicing primary teachers, primary and post-primary students enrolled in Irish Medium education, college staff who taught pre-service Irish Medium teachers, and government officials in the Department of Education Northern Ireland (DENI) tasked with making policy. She also had the opportunity to visit with and have focused conversations about language revitalization efforts with Mr. Sean Mac Aindreasa - one of the set of nine parents who, beyond all odds, opened the first Irish Medium school, Bunscoil Phobal Fierste, in Belfast in the early 1970s.